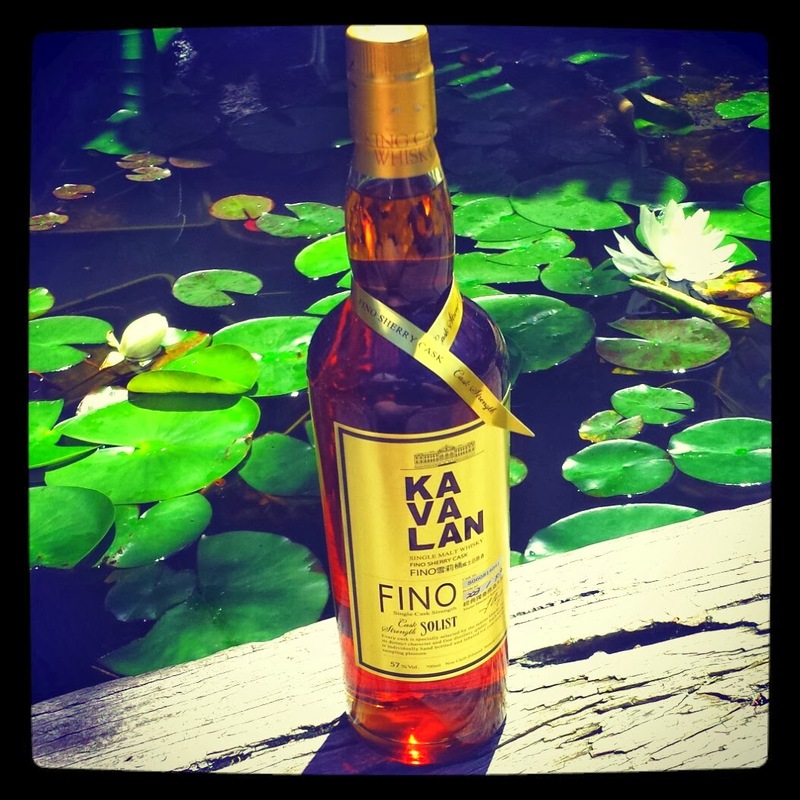 The taste buds are electrified and awaken to an onslaught of sweet tropical fruit notes interlaced with dry white wine and wood notes, as the palate tingling with energy then swells with the Fino Sherry Cask influence leaving it bone dry and desperately crying out for more Kavalan magic. Kavalan is undoubtedly one of the finest distilleries outside Scotland, with an enviable track record of whiskies that have left the world gobsmacked with their sheer quality and maturity. Whisky from Kavalan is distinct and part of the magic is the sub-tropical climate of Taiwan which acts to accelerate whisky maturation. Allowing whisky to mature in excellent quality casks of Fino sherry that swelter in the Taiwanese climate can result in a whisky that is as unique as it is spectacular. Kavalan Solist Fino is the most expensive expression from Kavalan to date. Fino is a pale and very dry sherry commonly made from the “free press” of white grapes that is fortified to just over 15% and matured in barrels about 4/5 full where a layer of “flor” (an oxygen inhibiting yeast) forms over the wine because the alcohol level of 15% allows the “flor” to develop. In contrast, olorosso sherry is fortified to 18% so the yeast will not grow and this allows the sherry to oxidize (unlike the Fino, which is protected from oxidisation from the yeast). The Fino tends to be lighter and fresher than the olorosso, which is darker and fresher due to exposure to oxygen). Falling in love is a reaction. There may be a thousand reasons resulting from a thousand mental processes and sensory reactions, but one this is clear: it is love. It is difficult to describe why I love the Kavalan Solist Fino. It may be its bone dry finish and crisp freshness, or its elegant complexity that radiates with the finesse I expect of only the very best cognacs, but this whisky has an “x-factor” and distinctiveness that is shared by some of my other favourites in my “best spirits” list. Nose: A crisp lively freshness bubbles in the glass releasing the lovely Fino sherry with layers of almond (fresh, peeled right from the tree), cream soda and buttery caramel drizzled with chocolate and dusted with dried coconut. The beauty of this whisky is not all about the Fino, though. It is about the way the distinctive Kavalan style interacts with the Fino cask influence, as that bone dry light bodied sherry intermingles with the exotic tropical sweetness of the whisky that is interlaced with some beautiful wood notes. Taste: This really needs to be experienced to be fully appreciated, as there are times when words cannot articulate with complete accuracy the complex fireworks! I will do my best. Served neat, there is a sudden explosion of astringent tropical fruit as dry wood washes away the fructose to leave the palate to become progressively drier in waves. The herbaceous tang of dried herbs interacts with the sting of spice from the oak, while the almond theme most common to Fino Sherry remains with dashes of chocolate. This is one of the few whiskies that has left my palate bone dry, my mouth sucked in and my tongue crying out for more! With a splash of water, the initial aggression subsides a little but that mouth drying magic remains. Finish: Bone dry white wine finish with almond skin and sweet shimmers of the creamy distillate. Distinct, superb quality, unique and beautiful interaction between the Fino Cask and the Kavalan distillate! This entry was posted in Taiwanese whisky. Bookmark the permalink.